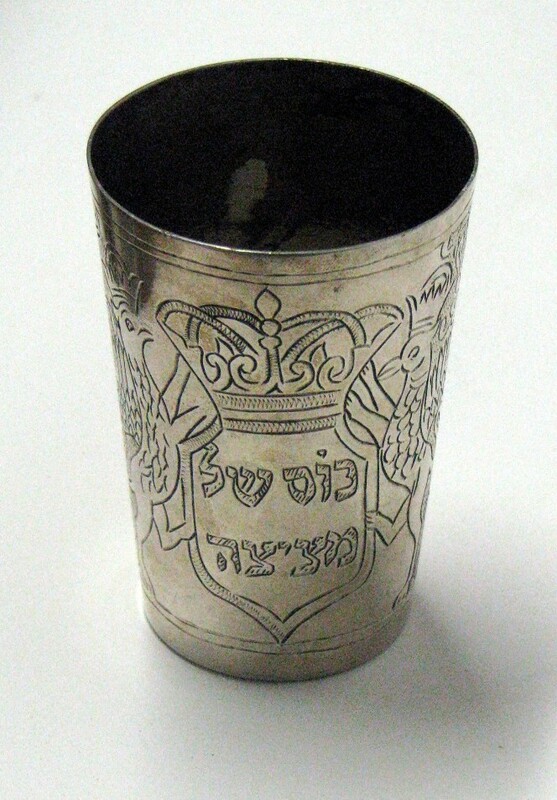 These German silver cups are from the late 19th or early 20th century. 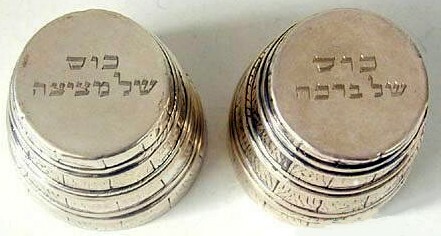 One cup is inscribed with Kos Shel (cup of) Metzizah and the other cup with Kos Shel Bracha. The first inscription refers to the Metzizah, the practice of oral suction from the circumcision wound. The second cup is for a wine blessing. 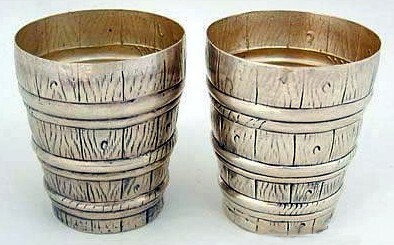 The double barrel was a popular German design for circumcision and marriage cups. Examples exist from as early as the 1700s. Caution: it is likely that the inscriptions are not original to the cups and were added later. The pair of silver circumcision cups on the right have Amsterdam hallmarks from 1853. The cups are gilded inside. Unlike the cups above, an expert antiques dealer judged the inscriptions authentic. Here are two cups. 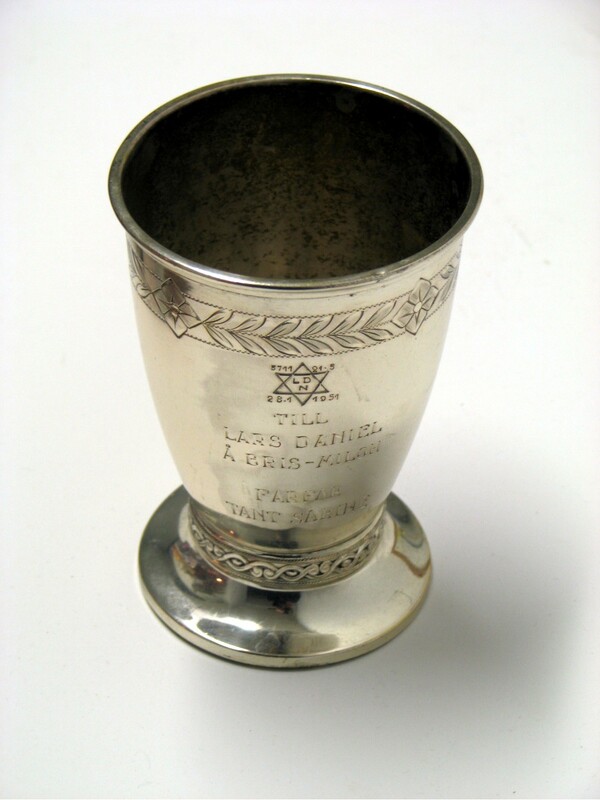 On the left is a Metzizah cup. Two crowned animals flank the cartouche. There are crescent moon and crown hallmarks which identify the cup as German. There is an additional mark from the silver maker Bruckmann and Söhne, circa 1930. On the right is a cup engraved in Swedish. Dated 1951, the cup is from the child's grandfather and aunt. The next section features some interesting items associated with circumcision. Click the button below.